Brilliant copper color. Nutty aromas of ripe red apples, plum tart, almond butter, and toasted coconut with a round, vibrant, fruity medium body and a warming, complex, very long leather, cacao nibs, dried hen of the woods mushrooms, smoked paprika, and cured pork finish. A spectacularly complex cognac that offers a layered flavor journey for the palate; experiential. Bottom Line: A spectacularly complex cognac that offers a layered flavor journey for the palate; experiential. 87 • Alberta Premium Canadian Whisky 40% (Canada) $32.00. 90 • Alberta Premium Dark Horse Canadian Whisky 45% (Canada) $36.00. 85 • Basil Hayden’s Rye Whiskey 40% (USA) $44.99. 81 • Basil Hayden’s Dark Rye Whiskey 40% (USA) $44.99. 89 • Basil Hayden’s Two By Two Rye Whiskey 40% (USA) $44.99. 90 • Canadian Club Small Batch Classic 12 Year Old Canadian Whisky 40% (Canada) $36.00. 87 • Canadian Club Premium 1858 Canadian Whisky 40% (Canada) $34.00. 87 • Canadian Club Chairman’s Select 100% Rye Canadian Whisky 40% (Canada) $35.00. 85 • Courvoisier VS Cognac 40% (France) $24.99. 88 • Courvoisier VSOP Cognac 40% (France) $37.99. 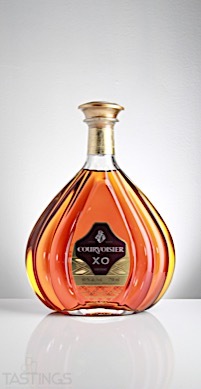 94 • Courvoisier XO Cognac 40% (France) $150.00. 93 • El Tesoro Reposado Tequila 40% (Mexico) $55.00. 95 • El Tesoro Añejo Tequila 40% (Mexico) $54.99. 94 • El Tesoro Paradiso Tequila 40% (Mexico) $99.99. 91 • El Tesoro Blanco Tequila 40% (Mexico) $44.99. 88 • Haku Vodka 40% (Japan) $27.99. 85 • Hornitos Plata Tequila 40% (Mexico) $22.99. 87 • Hornitos Reposado Tequila 40% (Mexico) $22.99. 92 • Hornitos Black Barrel Añejo Tequila 40% (Mexico) $29.99. 86 • Hornitos Cristalino Añejo Tequila 40% (Mexico) $29.99. 90 • Jim Beam Black Kentucky Straight Bourbon Whiskey 43% (USA) $22.99. 89 • Jim Beam Rye Whiskey 45% (USA) $22.99. 87 • Jim Beam Bourbon Whiskey 50% (USA) $22.99. 92 • Jim Beam Black Extra Age Bourbon Whiskey 43% (USA) $22.99. 92 • Jim Beam Bonded Bourbon Whiskey 50% (USA) $22.99. 92 • Jim Beam Double Oak Bourbon Whiskey 43% (USA) $22.99. 92 • Jim Beam Single Barrel Bourbon Whiskey 47.5% (USA) $39.99. 88 • Jim Beam Devil’s Cut Bourbon Whiskey 45% (USA) $22.99. 90 • Kilbeggan Single Grain Irish Whiskey 43% (Ireland) $29.99. 89 • Knob Creek Kentucky Straight Bourbon Whiskey 50% (USA) $30.99. 91 • Knob Creek Straight Rye Whiskey 50% (USA) $29.99. 96 • Knob Creek Cask Strength Rye Whiskey 59.8% (USA) $69.99. 93 • Knob Creek Barrel #6295 Single Barrel Select Rye Whiskey 57.5% (USA) $44.99. 90 • Maker’s Mark Kentucky Straight Bourbon Whisky 45% (USA) $24.99. 92 • Maker’s Mark Maker’s 46 Kentucky Bourbon Whisky 47% (USA) $39.99. 87 • Maker’s Mark Cask Strength Kentucky Straight Bourbon Whisky 56.1% (USA) $49.99. 92 • Maker’s Mark Bill Samuels Private Select Bourbon Whiskey 55.55% (USA) $69.99. 88 • Maker’s Mark 21c Private Select 2017 Bourbon Whiskey 55.8% (USA) $75.00. 84 • Maker’s Mark The University Club J&L Private Select Bourbon Whiskey 55.3% (USA) $69.99. 93 • Maker’s Mark Longman & Eagle Private Select Bourbon Whiskey 55.5% (USA) $85.00. 85 • Skinnygirl 2012 Cabernet Sauvignon, California 10% (USA) $11.99. 85 • Skinnygirl 2013 Pinot Grigio, California 10% (USA) $11.99. X.O. 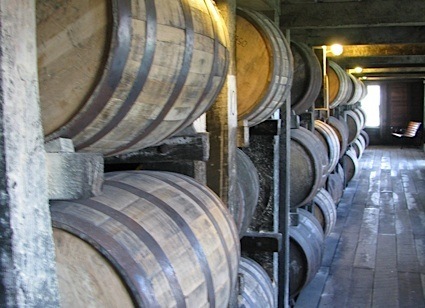 (or extra old) Cognacs require minimum of six years aging for the youngest cognac in the blend, with the average age running 20 years or older. All Cognac houses maintain inventories of old vintage Cognacs to use in blending these top of the line brands. The oldest Cognacs are removed from their casks in time and stored in glass demijohns (large jugs) to prevent further loss from evaporation and to limit excessively woody and astringent flavors. In 2016, according the BNIC, the official Cognac regulatory agency, the minimum component age requirement for X.O. Cognac was raised to 10 years. Courvoisier XO Cognac rating was calculated by tastings.com to be 94 points out of 100 on 8/21/2018. Please note that MSRP may have changed since the date of our review.